Shane Mc Grath (left) scored 0-4 from play for Clare in Thurles on Saturday. Photograph by John Kelly. CLARE’S chances of involving themselves in the contest for promotion to division 2 suffered a big setback in Thurles on Saturday afternoon when they fell to Tipperary, who now join Clare on four points from four games. Once Tipperary scored their first half goal Clare never looked likely to push the county county and the nearest they came to them was four points, six minutes from full-time. In a display which had echoes of their first half performance against Sligo, Clare simply gave the ball away too often when they went into contact. Tipperary were also more adept at funelling back and then breaking forward at pace. Tipperary led 1-5 to 0-4 at half time with Conor Sweeney netting in the 11th minute. Liam Casey delivered a long ball, which Sweeney flicked to the net as he was challenged by Gordon Kelly. Michael Quinlivan, who went off with a hamstring injury in the opening half and Philip Austin had already pointed for the home county. Shane McGrath scored Clare’s opening point in the eighth minute after Podge Collins won a loose ball in the middle of the field. 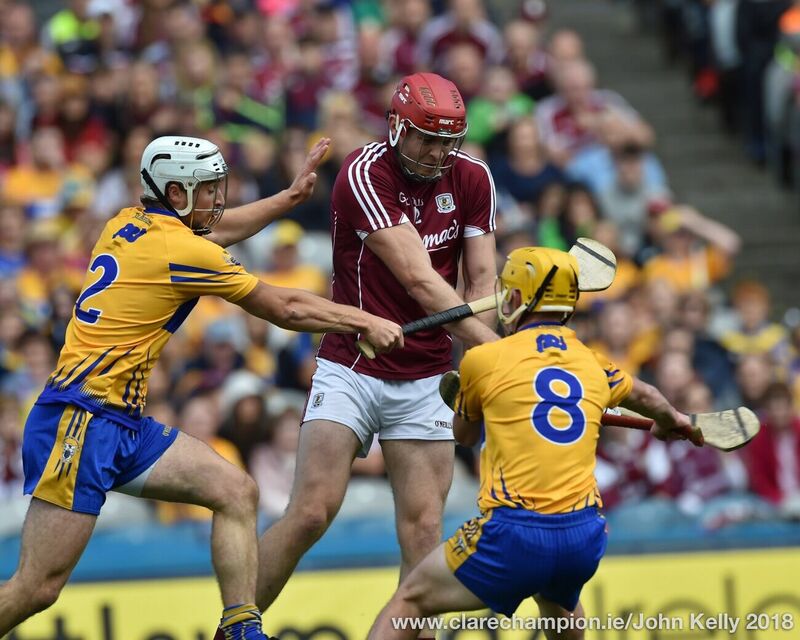 However Clare didn’t score again for 24 minutes when David Tubridy pointed a free after Tipperary overcarried. A free won by Martin McMahon, who started at centre back was again pointed by Tubridy before McGrath kicked Clare’s last first half score from play. Just seven minutes from the interval Tippeary led 1-5 to 0-1 and Clare looked to be really struggling. It was at that juncture that they ended put over their first score in 24 minutes and added two subsequent points. Tipperary always held Clare at arms length in the second period, although a Shane Brennan goal, 11 minutes from time gave them some hope. 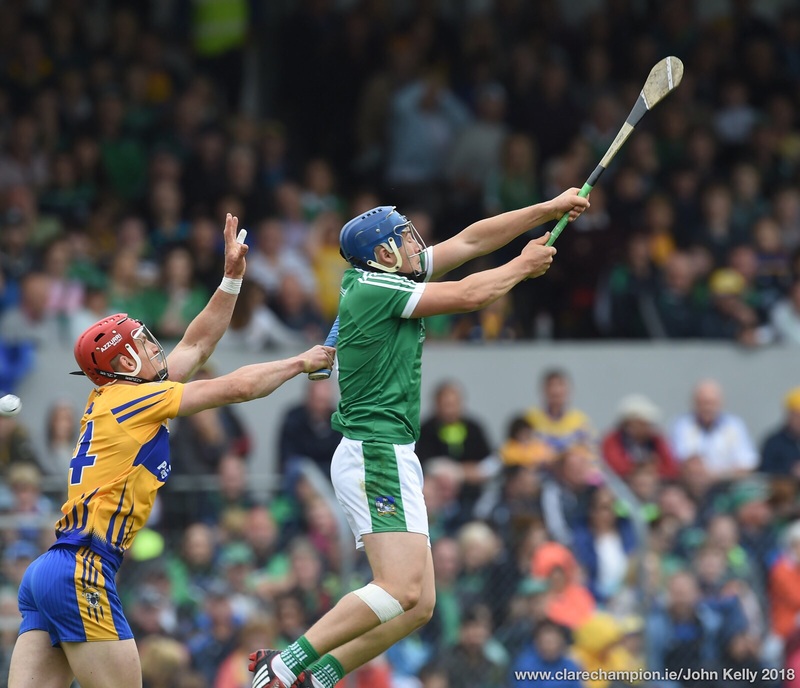 That reduced the deficit to five points, 1-10 to 1-5 and a Shane McGrath point cut it to four points. However with Clare attacking, Cathal O’Connor, who was Clare’s outstanding player, lost possession. Tipperary broke and Stephen O’Brien pointed the home county five points ahead, four minutes from time. Tipperary’s second goal was scored in the 69th minute, when Philip Austin netted after Gordon Kelly had make given away the ball. Clare started with Gordon Kelly at corner back on Conor Sweeney. Gary Brennan appeared to be struggling with a hamstring injury for much of the first half. Clare repeatedly gave the ball away in that period while they also struggled, particularly early in the game, to retain their own kick outs, most of which were short. In what was a disappointing performance from Clare as a team, Cathal O’Connor, Shane McGrath and Podge Collins all worked exceptionally hard. They play Armagh in Ennis next Sunday and are at home to Fermanagh in their penultimate league fixture. They must win both of those games to retain a realistic chance of promotion. 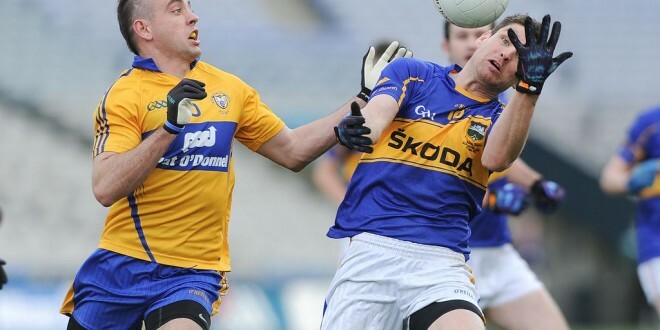 Clare’s defeat to Tipperary was their second away defeat of the 2015 league season. 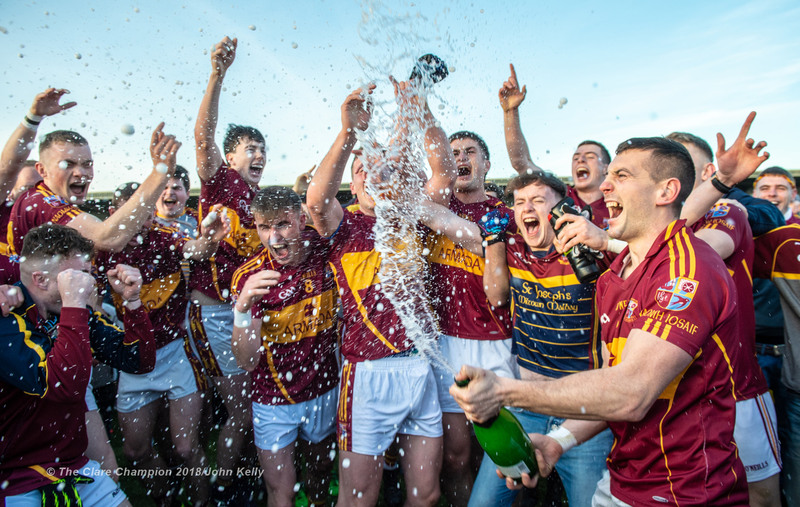 Clare: Joe Hayes (Lissycasey); Dean Ryan (Eire óg), Kevin Harnett (Meelick), Gordon Kelly (Miltown); Ciaran Russell (Éire óg), Martin McMahon (Kilmurry Ibrickane), Jamie Malone (Corofin); Gary Brennan (Clondegad-captain), Cathal O’Connor (Coolmeen); Seán Collins (Cratloe), Shane Hickey (Kilmurry Ibrickane), Shane McGrath (Thomas Davis); David Tubridy (Doonbeg), Podge Collins (Cratloe), Pat Burke (Kilmacud Crokes). Subs: Shane Brennan (Clondegad) for Seán Collins (45), Seán Haugh (O’Curry’s) for Jamie Malone (50), Martin O’Leary (Kilmihil) for Pat Burke (60), Chris Dunning (Wolfe Tones) for Shane Hickey (65). Scorers: Shane McGrath (0-4), David Tubridy (0-4, 0-3f), Shane Brennan (1-0). Yellow cards: David Tubridy, Jamie Malone, Shane Hickey, Cathal O’Connor, Martin McMahon, Gordon Kelly. Tipperary: Evan Comerford; Alan Campbell, Paddy Codd, Seamus Kennedy; George Hannigan, Peter Acheson, Robbie Kiely; Colin O’Riordan, Stephen O’Brien; Liam Casey, Barry Grogan, Philip Austin; Conor Sweeney, Michael Quinlivan, Ian Fahey. Subs: Seán Flynn for Michael Quinlivan (22 inj), Brian Mulvihill for Seán Flynn (50), Ger Mulcaire for Barry Grogan. Scorers: Philip Austin (1-2), Conor Sweeney (1-2, 0-2f), Stephen O’Brien (0-2), Barry Grogan (0-2, 0-1f), Michael Quinlivan, Ian Fahy, Seamus Kennedy (0-1 each). Yellow cards: Michael Quinlivan, George Hannigan, Paddy Codd.